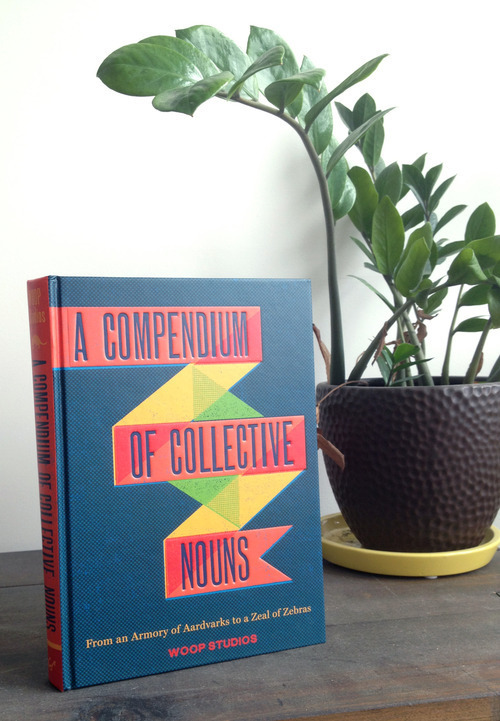 I just got my advance copy of A Compendium of Collective Nouns, a book I wrote for Chronicle Books and Woop Studios. 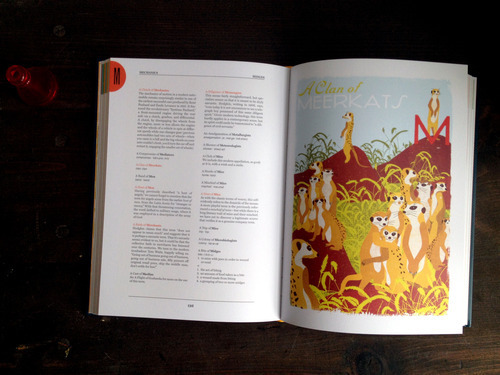 The book is a beautiful hardcover collection of Woop Studio’s collective noun posters, interspersed with lots of me babbling away about etymologies and literary tidbits and historical anecdotes and general half-baked word nerd kind of stuff. So, if you’ve ever wanted the nonsense that comes out of my mouth to be accompanied by art from a world-famous design studio, this book is for you! Available for preorder from Chronicle Books.